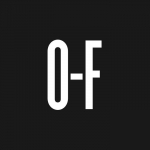 From familiar faces sharing unfamiliar tales, to the people you don’t know telling stories you should, Off-Field is a sporting treasure trove of the unheard, the unsaid, and the unusual. We aim to provide a platform where considered storytelling and high-quality writing, photography and design can truly thrive. The stories behind the stories. The untold and unsung. In a media age dominated by first and fast, Off-Field is unashamed in its love for telling a story the right way, no matter how long it takes to research, write or read. With this in mind, we’re excited to work with talented photographers, writers, storytellers and illustrators who share this passion, whether established or new. Get in touch with us at editor@off-field.net.